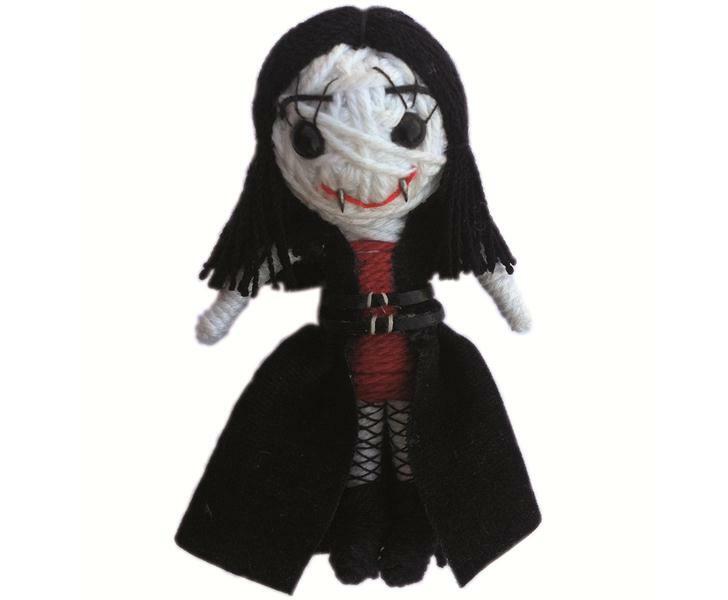 Just in time for Halloween fun, Kamibashi has added a brand new spooky String Doll to their collection -- a very spooky vampire girl. She'd make a perfect Fair Trade, sugar-free Halloween treat for your child. Miss vampire, like the rest of the lovable String Doll gang, comes with a key ring, lobster claw and double sided fabric tag that offers protection, in this case the tag reads, "The vampire protects you from harm when you're out past your bedtime." 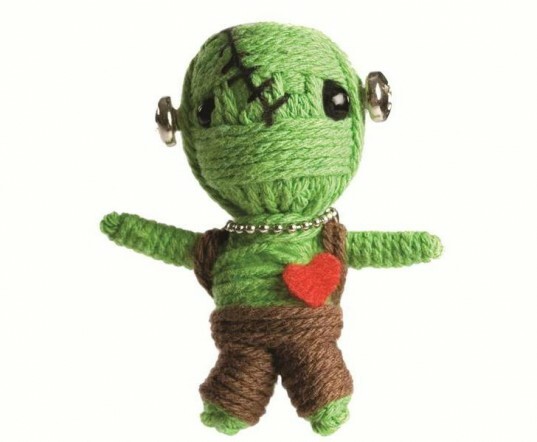 Now, if vampires aren't your child's thing, there's a whole adorable line-up of Halloween String Dolls available right now and they're all Fair Trade and ethical. Click through the gallery to see the whole gang. Beyond vampire girl, Kamibashi has plenty of Halloween minded dolls to please any child (or adult) such as Little Frank shown above, a spoooooky ghost, a broom riding witch, the headless horseman, the grim reaper, Charlie Ribs and many more. For kids who don’t like Halloween scares as much, there’s also the cuter and less spooky Punkin, Scarecrow and Radar the bat. All members of the String Dolls clan are now officially Fair Trade certified — and they are all handmade ethically in Thailand with one long piece of string and cool added embellishments. Also, each String Doll has his or her own special power that is always positive and helpful, and these are fun dolls for the whole family. Plus, they’re affordable at just $10 each. Note: due to small parts, very young children should not play with String Dolls. Beyond vampire girl, Kamibashi has plenty of Halloween minded dolls to please any child (or adult) such as Little Frank shown above. For kids who don't like Halloween scares as much, there's also the cuter and less spooky Punkin. All members of the String Dolls clan are now officially Fair Trade certified. String Dolls are handmade ethically in Thailand with one long piece of string and cool added embellishments. Each String Doll has his or her own special power that is always positive and helpful, and these are fun dolls for the whole family. String Dolls are affordable, costing just $10 each. Note: due to small parts, very young children should not play with String Dolls.